- Amazing part platform part puzzle game with some of the most ingenious levels I've seen. - Finished in around 6 hrs. Time (no pun intended) greatly depends on how many puzzles you get stuck on. I found all 60 puzzles pieces without cheating (NO YOUTUBE!!) + hidden text, and it was well worth it. The stars on the other hand I did look at youtube because I don't ever plan on getting them. The time trials look way hard too so I'll probably be skipping those too. - At first I only played it about 10 min (all the time I had that night) and didn't quite get what all the hoopla was about. I was thinking rewind has been done to death and I liked Crush on PSP better anyways. The next time I sat down to play I was sucked in for 3 hrs and way late. I got it and was completely hooked at that point. I sat down the next night and finished it. - It takes the time mechanic much further and much more creative ways than I've previously seen (Blinx, Prince of Persia sands of time, etc). - I love the water color painting art style, and it matches perfectly with the amazing musical score. - It's pretty difficult and unforgiving but I think that was the right call for what this game is. Don't expect any hints. You need all 60 puzzle pieces before you get to see the ending (I'm not counting the stars). - Some of the puzzles might be pretty hard or frustrating but stick to it. I know I got stuck on several of them but I would just step away and think about it and them come back to it. I just love how the puzzles force you to start eliminating possibilities (play around with a puzzle trying the obvious ideas that are impossible), and then eventually wrapping your mind around it and inching yourself closer to the solution. Don't cheat because you can never un-see the solution. It's just so rewarding when you finally figure out a difficult puzzle. - For the most part the game is pretty good about teaching you certain aspects of the game before moving to more difficult uses of those aspects. It's not quite as hand holding as say Portal but overall it's designed pretty well. There were a few spots that I felt it required some random trial and error before going "ahh I didn't know the game could do that" which I felt was a bit unfair. - Your character doesn't grow in abilities or anything throughout the game. You pretty much can solve every puzzle around it's own little area with no backtracking needed except the one in world 2. 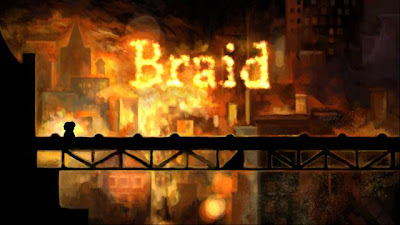 - There's an interesting but artsy head story with lots of metaphors and themes. It's fine but liked it just as a cool puzzle/platform game. Pretty interesting last level/ending. - It's well worth the $15. I just hope this doesn't become the new "original XBLA" game price point because there are many original xbla titles NOT worth even $10. - I did run into this bug when playing on my other 360 (the one where I didn't purchase it on). The second fix works for now but it's annoying because I have to do it every time I play on that 360. - A lot of people consider this as a great example of games as art. Either way all I know is this is a great game. Highly recommended and probably the most memorable downloadable game I've played. It truly is a unique experience that everyone should try.